How to treat your German shepherd ? HomeHow to treat your German shepherd ? By nature German shepherd is highly active and energetic dog breed but don’t get fooled by this robust nature of German shepherd, sometimes you overlook health conditions of your German shepherd just because it seems fine to you but still it is susceptible to all sorts of afflictions. 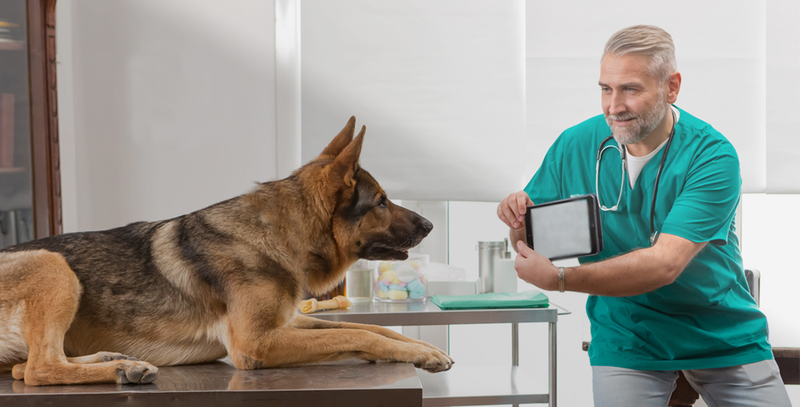 In order to keep your purebred German shepherd stay away from health issues, you need to give proper attention to signs and symptoms of illness and injuries. Here are a few tips that all German shepherd owners must be mindful of, that will help your Purebred German shepherd stay healthy and active. When you take your purebred German shepherd puppies from a German Shepherd Breeders, he ought to be very healthy because German Shepherd Breeders have specialized veterinarian who looks after the health of these Purebred German Shepherds. There is no doubt these Purebred German Shepherd puppies have been living in a healthful environment with good nutrition and all the right vaccinations against diseases. Now you have to ensure the health of your German shepherd puppy to do this you have to carefully choose a veterinarian for your German shepherd puppy. •Don’t just take him to the nearest vet, you have to ensure that you and your German shepherd is comfortable with the vet. •Ask for recommendations from nearby pet owners especially, German shepherd owners. • Make a first visit appointment to make sure three of you can get to know each other. To protect your purebred German shepherd against diseases and give right treatment, you have to gain some knowledge about several types of diseases and illness that can affect your German shepherd. •Have some basic knowledge about the origin of diseases in German Shepherds such as genetic, viral, bacterial or Parasitic. This will help you in taking preventive measures in advance. •Make yourself familiar with diseases such as rabies, distemper, and others. There are some diseases that transmit from dogs to humans having advance knowledge about these diseases will also help you. •Change in weight and eating habits. Look for gain and lose in weight even though you haven’t changed the diet and nutrition, it might be due to some stomach issues. •Look for the way your German shepherd acts or behave. •Observe how your German shepherd looks have changed. It is very important to maintain the health of your German shepherd which because if you do not care or treat his health then you will lose him. The German shepherd is prone to diseases so, it’s your duty to manage a regular visit to the vet.